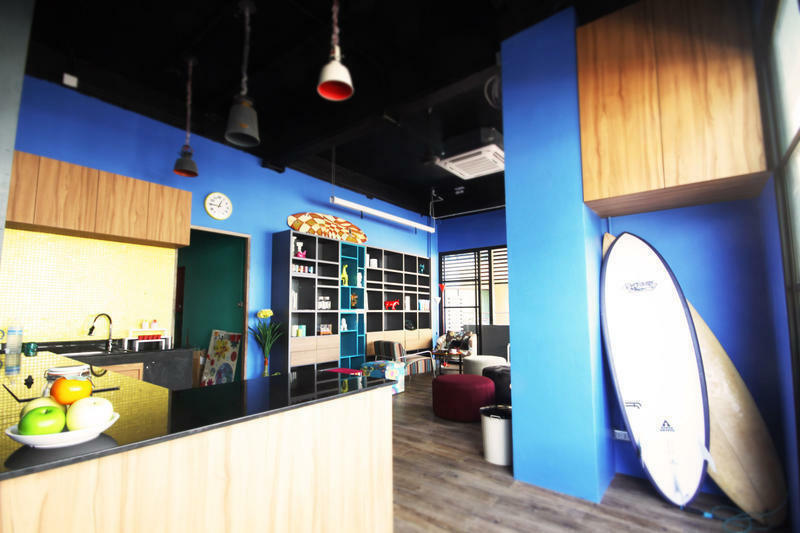 Situated in Kata Night Plaza, Kata Beach area, FIN Hostel is the perfect place to experience Phuketâ€™s best surfing beach and its surroundings. Only 5 minute from the Kata Beach and 20 minutes from Phuket downtown, with its convenient location, the hotel offers easy access to the Kata night plaza which is a perfect dining destination in Kata area. At FIN Hostel, the excellent service and superior facilities make for fun and unforgettable stay. The hostel offers access to a vast array of services such as rooftop pool, 2 common rooms with big TV screen, American kitchen, shops, free Wi-Fi. The ambiance of FIN Hostel is reflected in every guestroom. Shared bathroom, air conditioning, shower are just some of the facilities at your disposal. When you are looking for comfortable and convenient accommodations in Kata Beach, make FIN Hostel your home away from home. â€¢ Take a small open air bus (larger than a â€˜song-thaewâ€™) to Kata for 30 baht (as of 30/09/2012).